Environmental advocacy group members of the Clean Gulf Commerce Coalition (CGCC) filed suit against the United Bulk coal export terminal in Davant for violating the federal Clean Water Act. The terminal, owned by United Bulk Terminals Davant LLC, has operated for more than four decades, shipping millions of tons of coal and petcoke – an oil-refining byproduct with high levels of arsenic, mercury and other toxins hazardous to human health and aquatic life – every year to overseas markets. 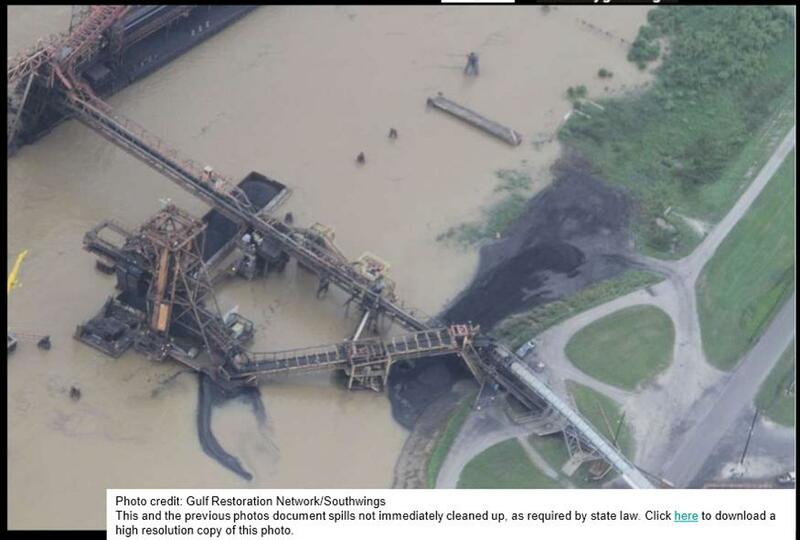 But before they are shipped, that coal and petcoke sits in huge, open piles along the river, and blows right into the river and the wetlands when there is rain or wind. Officially, the Gulf Restoration Network (GRN), Louisiana Environmental Action Network (LEAN) and Sierra Club are the parties that filed the suit in New Orleans’ U.S. District Court for the Eastern District of Louisiana. The groups, represented by Tulane University’s Environmental Law Clinic, are members of the Clean Gulf Commerce Coalition (CGCC), which is working to clean-up existing coal terminals in the Gulf Coast region, stop any new coal export terminals, and promote cleaner, safer industries and jobs. The international market for U.S. coal has also grown increasingly volatile. Port authorities on the West Coast and in Corpus Christi, Texas have concluded that the coal export market is simply too risky to invest significant sums in new or expanded shipping facilities. For more information, check out The Clean Gulf Commerce Coalition’s website. The third and final major new coal shipping proposal at the Port of Corpus Christi has been canceled, according to documents from recent Port Authority meetings reviewed by the Clean Gulf Commerce Coalition, a multistate campaign to halt expansion of coal exports from the Gulf Coast while promoting clean energy and businesses, that includes Public Citizen. Check out ThinkProgress.org’s story that resulted from our post by clicking here. Ambre Energy, a major Australian coal company struggling with the poor global market for coal, has terminated its lease and will not pursue development of the project. The failure of each of the major new coal export terminals in Texas casts further doubt on the viability of the international coal market and new export facilities in Gulf Coast ports. In August of this year, New Elk and its parent company, Cline Mining Corporation, terminated their lease for a planned coal export terminal, and development of the La Quinta Trade Terminal was put on hold after grassroots activists rallied against it and Sierra Club released a report in early 2012, The Port of Corpus Christi Gambles on Coal Export Development. Along with financial troubles, the coal export industry faces resistance from community and environmental activists concerned about air and water pollution from coal dust and added rail and barge traffic. Coal-fired energy is also a primary cause of greenhouse gases, which lead to climate disruption, extreme weather and rising sea levels. The Texas Commission on Environmental Quality (TCEQ) has made a preliminary decision to approve an air permit for a facility that will store, import and export coal, petroleum coke and limestone through Point Comfort. The Corpus Christi Port Authority meeting minutes also predicted a poor future for coal exports. 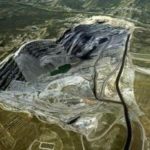 Ambre Energy has encountered obstacles in trying to develop coal export terminals in the Pacific Northwest as well. Last week, the company’s shareholders allowed Denver-based Resource Capital, a private equity firm, to increase its ownership stake in the company to avoid insolvency. The coal industry has tried to offset the move away from coal-powered energy in the United States by stepping up exports, particularly to China. But recently China, too, has begun to shift away from highly polluting coal. Over the summer, China announced a ban on construction of new coal-fired plants around the cities of Beijing, Shanghai and Guangzhou to control air pollution. includes Gulf Restoration Network (GRN), Air Alliance Houston, Louisiana Bucket Brigade, Louisiana Environmental Action Network (LEAN), Public Citizen, Sierra Club, and SouthWings. Community and environmental organizations lodged a formal protest against the Louisiana Department of Natural Resources’s recent permit for a coal export terminal in the already polluted Plaquemines Parish corridor. In a letter sent to LDNR Secretary Stephen Chustz, the organizations called for reconsideration of the coastal use permit granted this month, charging that the RAM coal terminal would violate laws created to ensure that the state’s plan for coastal restoration plan is carried out. Armstrong Energy is facing challenges from the market that may threaten the viability and profitability of its proposed coal export terminal in Louisiana, a new Public Citizen report (Armstrong Coal final report) finds. A failed company and abandoned export terminal would create significant costs for Plaquemines Parish. In the report, “RAMming It Down Our Throats: Armstrong Energy Could Leave Louisiana Taxpayers Holding the Bag on Its Proposed RAM Terminal,” Public Citizen looked at Armstrong Energy’s financial condition and the effect of market conditions on the coal export company. The RAM Terminal is to be built near the 150-year old community of Ironton in Plaquemines Parish, La., 30 miles south of New Orleans. The terminal is to be fully operational within two years of construction and ship 10 million tons of coal. Two hearings on August 14 and 15 attracted more than 100 residents who oppose the terminal’s latest push for permits. Residents and environmental activists in Plaquemines Parish, LA, filled the community center auditorium during Wednesday night’s permit hearing for the RAM coal export terminal proposed for the Lower Mississippi River just outside New Orleans. Local residents turn up to a hearing on a proposed coal export terminal in Belle Chase, Louisiana. 120 strong compared to 12 the previous year. Plaquemines Parish, a long strip of wetlands and small communities banked by the Mississippi, is already home to much industrial activity, including two coal export terminals, where coal sits in immense uncovered piles. 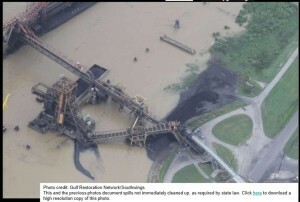 Speakers at the hearing urged Louisiana’s Department of Natural Resources (DNR) to deny a coastal use permit for a third coal export terminal for various reasons. 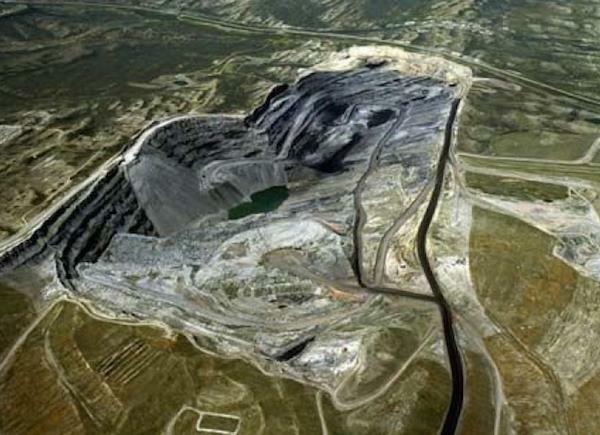 Speakers said the RAM terminal that Missouri-based Armstrong Energy has proposed would add to the coal-dust pollution that already burdens nearby communities, as well as bring train traffic to the area. They said the terminal would undermine state efforts to restore disappearing wetlands by employing the Myrtle Grove Sediment Diversion, a project, still in planning stages, to deposit river sediment in the wetlands. They said coal exported through the terminal would contribute to climate change, pointing out that low-lying Plaquemines Parish and the entire New Orleans area are particularly vulnerable to the extreme weather and rising sea levels that global warming and climate disruption brings. They also pointed out that the community would be buying into a shaky financial proposition by allowing the coal terminal to be built, since Armstrong Energy is amid deep economic problems. In response to pressure from Plaquemines residents, officials scheduled a second permit hearing for Thursday at 6 pm in Belle Chasse, Louisiana. “I am definitely in opposition to this terminal,” said Plaquemines Parish Councilman Burghart Turner, who represents Ironton and Myrtle Grove, communities adjacent to the location proposed for the RAM terminal. “With the IMT (International Marine Terminals coal facility) already just south of the community of Ironton, and with this additional coal facility north of Ironton, we would be choking out that community,” he said, referring to the pollution from coal dust and other industrial sources that burden the area. During the hearing, Martin also presented 600 petitions gathered from Louisiana residents, pointing out that opposition to the RAM terminal is present throughout state. In a joint letter submitted to the DNR during the hearing, state and national environmental groups urged the agency to deny the coastal use permit sought by Armstrong because the RAM terminal is in conflict with a state and federal program to build vital wetlands by depositing sediment from the Mississippi River. The letter noted that the RAM Terminal could undermine the success of the Myrtle Grove Sediment Diversion by “polluting the water going into the wetlands” with coal and petcoke; both contain heavy metals, sulfides, and other toxic constituents that would harm aquatic species and impede the ability of marsh plants to take root in the newly restored wetlands. The letter was signed by representatives from Louisiana Environmental Action Network (LEAN), Gulf Restoration Network, Lower Mississippi Riverkeeper, Sierra Club and Public Citizen. “Our position is that DNR must deny this permit, as it’s inconsistent with the state’s master plan for coastal restoration,” said Scott Eustis, a coastal wetlands specialist for the Gulf Restoration Network. Under Louisiana state law, the Coastal Protection and Restoration Authority (CPRA) must find that the RAM terminal is consistent with the state’s coastal management plan before the DNR approves construction of the facility. The CPRA, which expressed concerns about the terminal’s impact on coastal management in 2012, has not yet altered that opinion to find the terminal consistent.